Contrary to popular belief, Dell’s CCTK tools (now called Dell Command Configure) do not have to be injected into WinPE in order to make changes to the BIOS during the WinPE phase of a task sequence. This applies both to SCCM and MDT task sequences. The benefit to not injecting CCTK into WinPE is that it can be updated and maintained without having to rebuild boot images. 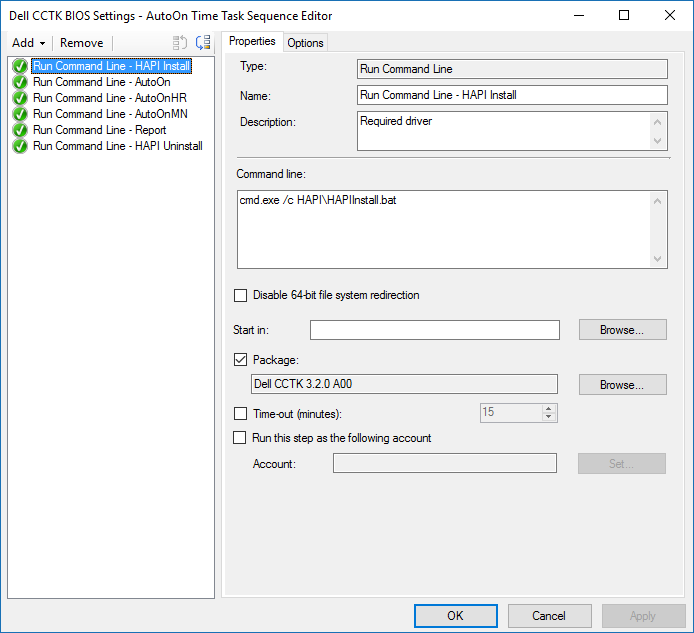 This entry was posted in MDT, SCCM on February 13, 2017 by Boris Kagan.